Affordable country living. 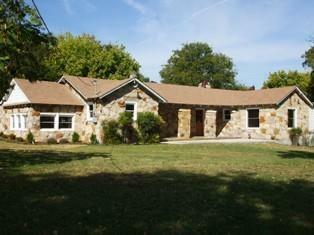 2.6 acre lot includes main home, guest house, barn and detached garage. Main home is 2381 square feet and includes 2 bedrooms and 1.1 baths, living dining and game room. House also offers 2 basement spaces, one is 13 x 21 and one is 8 x 11. Great storm shelter use. Guest house is 691 square feet with 2 bedrooms and 1 bath plus living and eating space. 1600 square foot horse barn. Nice concrete patio plus storage building. OK to park your RV and boat. Room to garden and raise chickens. If you like open space and fresh air, make time to take a look. Offered by Michael Brady of Michael Brady Realty.